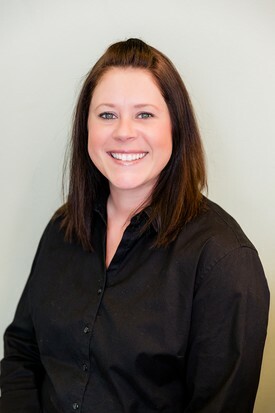 Katie started her career in the field of dentistry as a chairside dental assistant in 2009. She worked at an orthodontist office in Ames and loved having various patients in her chair. 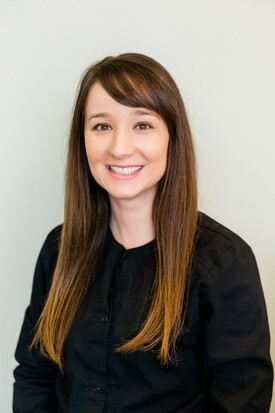 It was while working as an assistant that she found a passion for helping patients improve their oral hygiene and decided to pursue it more for her career. Katie jumped at the idea of being a dental hygienist and graduated in 2016 from the Hawkeye Community College Dental Hygiene program. Katie is devoted to patient education and disease prevention. 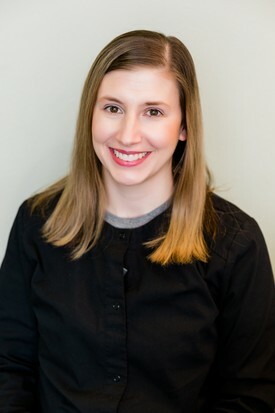 Something that Katie looks forward to each day is talking with her patients and getting to know them not just regarding their teeth but also personally. Katie grew up on a farm in rural Grundy County. She loved it as a child and moved back to the area to raise her family. Katie and her husband, Brent have two children, Jacob and Avery. They enjoy taking care of their many animals, some of which include chickens, goats, cats, rabbits and Bella their puppy. Katie and Brent have a history of being a military family so they enjoy honoring and supporting our veterans. When Katie is not at All Smiles you will find her playing on her funny farm, coaching soccer, and spending time in a tree bow hunting. She embraces all that the outdoors offer including camping, fishing and hiking all while spending time with her family. 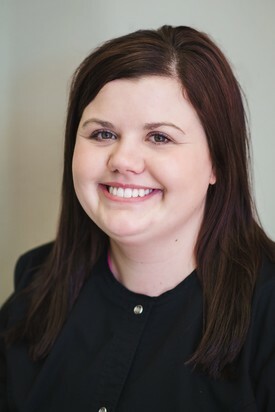 Heidi graduated from Hawkeye Community College Dental Hygiene program in 2006. Prior to hygiene school she worked as a Dental Assistant for five years. 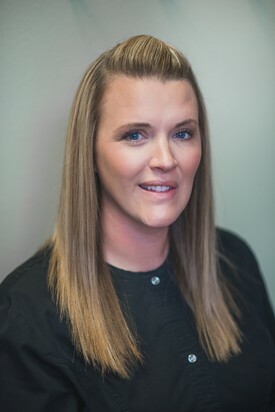 Heidi was the president of her hygiene class and is also currently on the Dental Advisory Board at Hawkeye Community College. 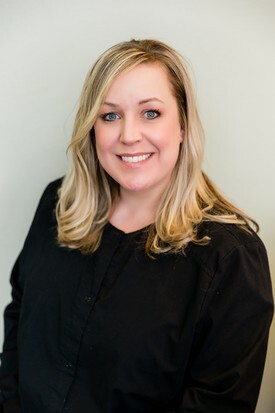 Heidi enjoys building relationships with patients and strives to treat every patient like a member of her own family. Heidi and her husband, Justin, have two boys that love the outdoors and riding motocross. They also have an energetic dog, Lucy who is always up for playing fetch. Justin is a product development specialist at a local manufacturing company. Justin and Heidi's house is over 100 years old and sits on a beautiful 1.5 acre lot surrounded by nature. Heidi and her husband enjoy working on projects around the house to make it their own. Justin is very handy and enjoys doing much of the remodeling himself with Heidi’s assistance. When they are not working on their home, Justin and Heidi enjoy games nights with friends and family, gathering for dinner and sitting around the fire pit on their newly built patio while enjoying nature and good company. Cassie is from North Dakota and it shows with her love of the outdoors. She likes to spend her free time hunting, fishing, camping and hiking. Cassie is an expert in hygiene but she is also proficient using a sewing machine. 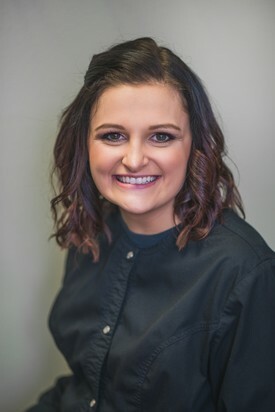 She has received her dental hygiene and assisting education from North Dakota State College of Science and Minnesota State Community College. Cassie moved to Iowa in 2013 with her husband, Chase. Together they have a little boy, Leo, who was born in 2017 and two dogs, Berkley and Bauer. Cassie played hockey growing up so she loves to attend local hockey events. Shantel graduated from Kirkwood Community College in 2013 as a Certified Dental Assistant. Dentistry has always interested her from when she was a child. Caring for people and animals are two things that Shantel is very passionate about. Shantel and her husband Kurt, welcomed baby Oliver in August They have three dogs Emmett, Mazie and Reba. Much of their free time is spent running a BBQ business and renovating their home. When they are not busy with projects they enjoy traveling, being outdoors with their beloved dogs and being with family. Summer is a Certified dental assistant. She is a graduate of Waterloo East High in 2012 and Hawkeye Community College in 2016 as a Dental Assistant. Summer loves working in a field that she is able to help people. Summer and her husband Jared have one son together. Liam Michael is one and on the move. While they enjoy relaxing on the weekends, they find themselves chasing their beautiful baby boy around. The newly wed couple enjoys spending time with their families, attending concerts and most of all cheering on the Iowa Hawkeyes. 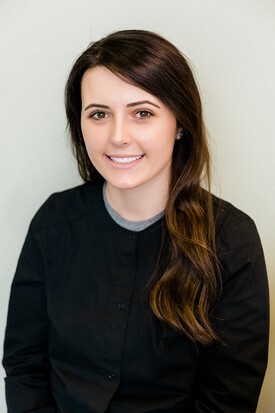 Summer joined our team in 2017 and is excited about expanding her knowledge in the dental field and in our office. Melisa graduated from Indian Hills dental assisting program in 2015. Her greatest passion is hygiene and she hopes to attend dental hygiene school at Hawkeye Community College in the next few years. Melisa and her husband, Admir, have been married since 2016. They enjoy walking their dog, camping and cooking together. Admir has a love for basketball so they enjoy attending basketball games as well. Since Melisa was an only child, she always enjoys extended family time. They have a son, Najel, who was born in 2017 who keeps them busy and active. Najel likes to chase around their dog, Mia and their cat, Luna . Jen is originally from Oelwein but moved to Cedar Falls in 2008 to attend the University of Northern Iowa. Jen met her husband, Matt, before she graduated in 2012. Their first children are Skyla and Kaimana, two lovable huskies. They are expecting a human baby in the Summer of 2019. Jen loves nature so you can see why when she was married in 2015 that she had an outdoor wedding in Guttenberg overlooking the Mississippi. Matt and she enjoy being outside whether it be biking, hiking, snow shoeing, cross country skiing, or just walking the dogs. They are avid fans of trees and have been tending to some saplings at their home. Amanda came to Cedar Falls from a small town in north Iowa to attend UNI, where she graduated in 2004. Amanda has been part of our office staff since All Smiles opened in 2009. Catching up with our patients and their family's is Amanda's favorite part of her job. Amanda and her husband, Jason, have two children. Lane and Lydia are both very active in sports and activities. When Amanda is not at All Smiles, you can find her cheering on her children from the stands at a sporting event. The fact that her children love sports is not surprising as her and her husband are avid Iowa Hawkeye and Chicago Cubs fans. When they not sitting in the stands they love to travel to visit family, ride bikes and enjoy the outdoors.